Rauhia is a genus in the Amaryllidaceae family with at least four described species. They occur in seasonally dry, open woods and rocky slopes of the middle Maranon and Utcumbamba river valleys in Northern Peru at 1000-1500 meters. 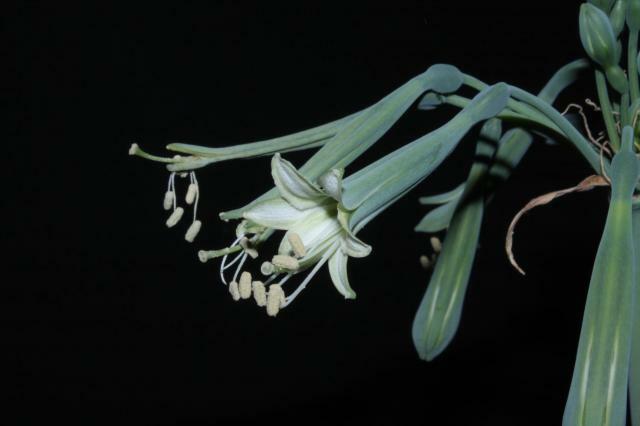 The genus, notable for its large and fleshy leaves is closely related to Eucrosia and Phaedranassa. 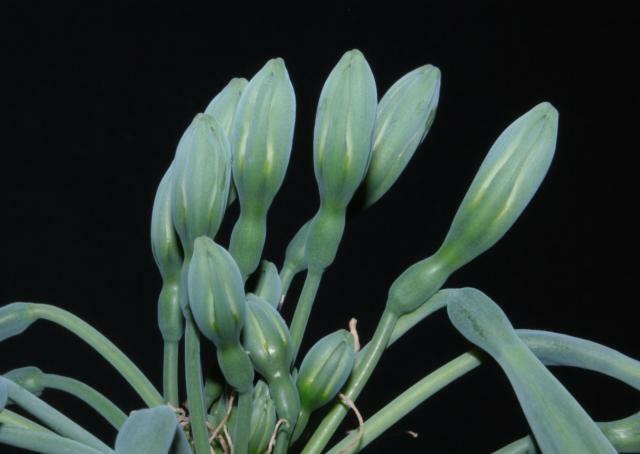 The bulbs are large and produce 1-4 leaves which are widely petiolate, ovate, very carnose (fleshy), have an epidermis with mircopapillae, sometimes tessellated with silver when juvenile. Some species have glaucous leaves. Flowers green to off-white. 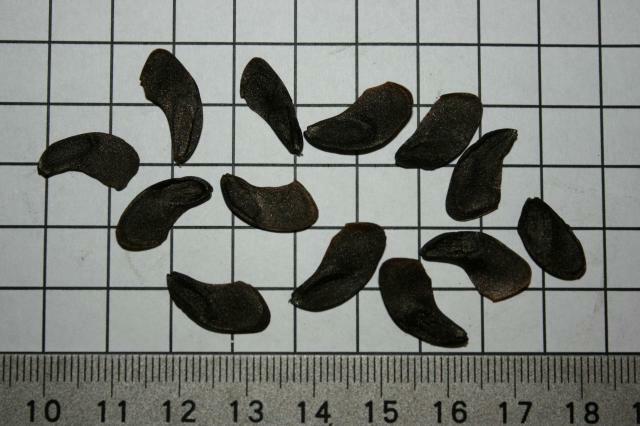 The seeds are brown or black. 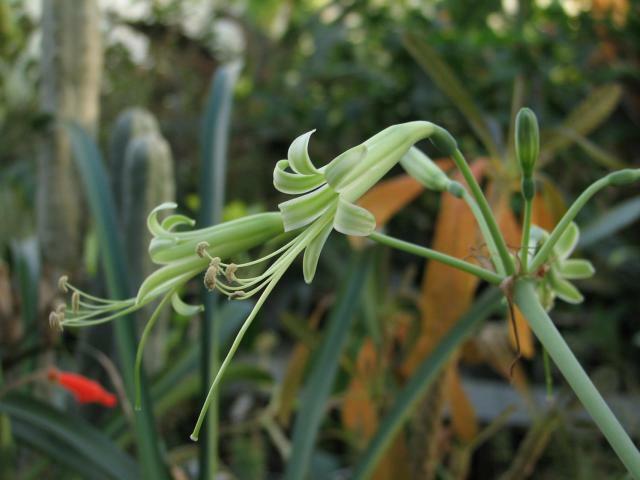 The species in cultivation are self-fertile. The seeds should be sown in a well-draining mix. Nhu Nguyen uses a 1:1 organic:inorganic mix with moderate watering. Water the seedlings only when the medium is drying out. Excessive wetness for an extended period of time can cause rot. It is good to keep the seedlings from going dormant for the first two years of growth. This can be achieved by giving the seedlings constant but not drenching moisture. They also benefit from occasional fertilizers. 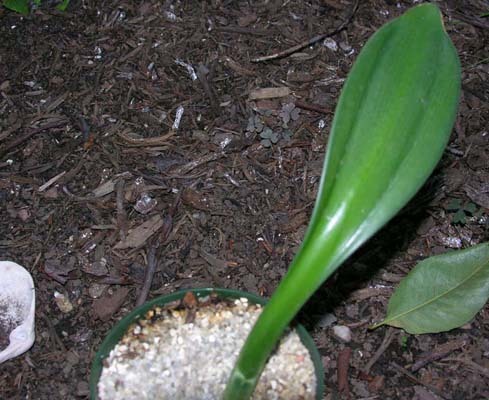 More mature bulbs should be grown in a very well-drained mix. Nhu Nguyen uses a 3:7 organic:inorganic mix. Grow the bulbs in a warm place as they do not appreciate being cold. 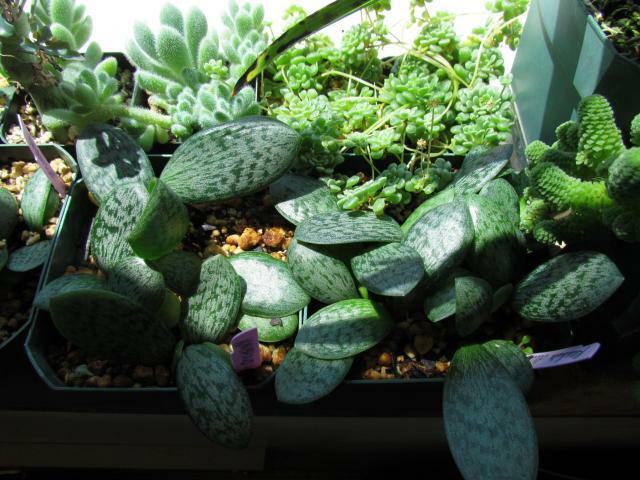 A sunny windowsill works great, although some species such as R. decora do not like full sun. Water when the medium comes close to drying out. Despite coming from an arid region, complete drying out of the medium is never recommended. 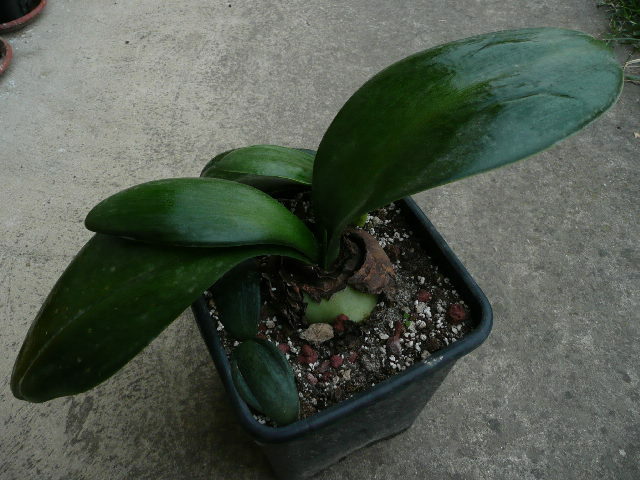 Leaves will form after the bulb has broken dormancy. Resume watering regularly but avoid getting water into the cup structure formed by immature leaves. Give the plant a dilute fertilizer solution once in a while during growth. Eventually, the bulb will go dormant again. 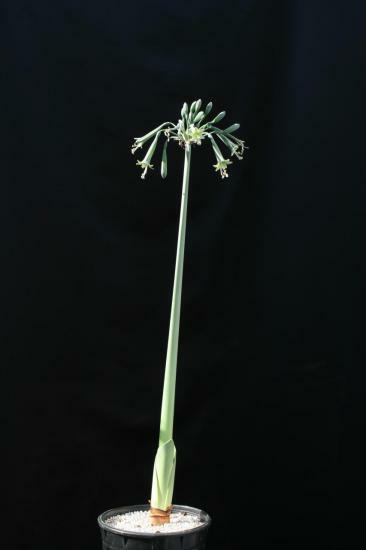 The best results are achieved when the bulb holds on to its leaf(ves) throughout the dormancy period. 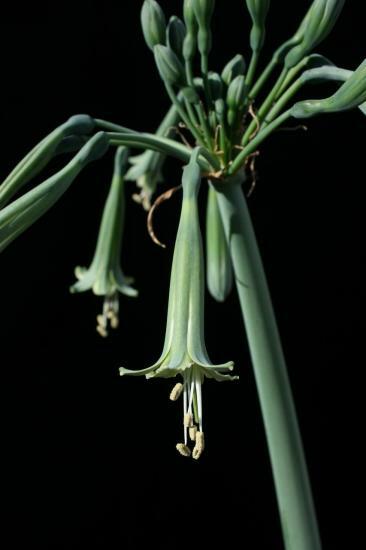 To achieve this, give the bulbs water, although not as often as you would during active growth. 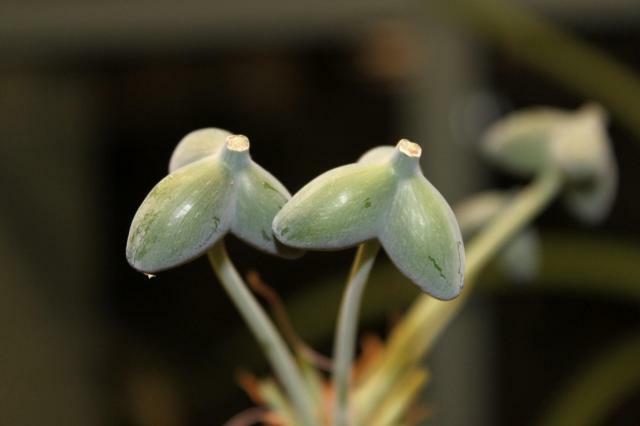 During the end of the dormancy period, the leaves will senescence and within a few weeks new leaves will be formed and hopefully a flower spike at the same time. 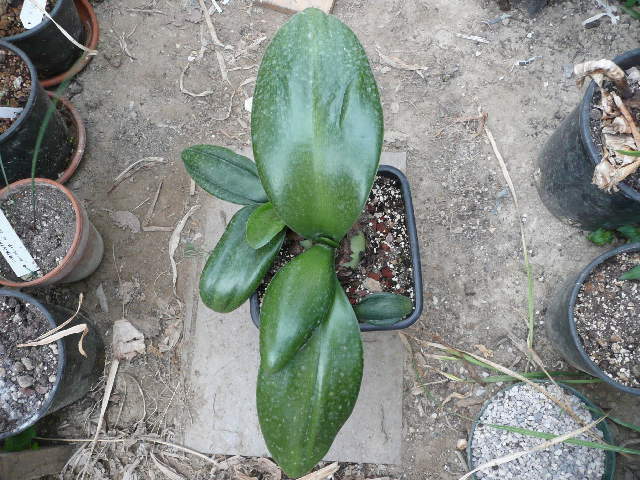 It is not unusual for new leaves to form when the old leaves are still on the plant. In such case, the old leaves will drop soon after the new leaves appear. 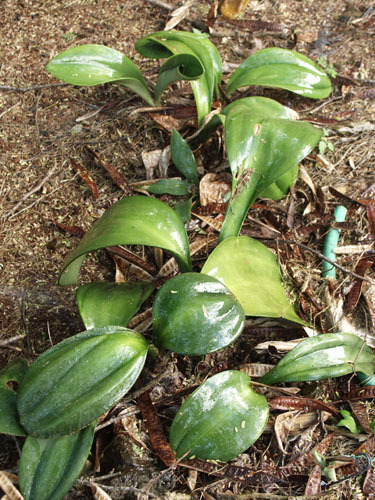 The number of leaves depends on the age and health of the bulb. 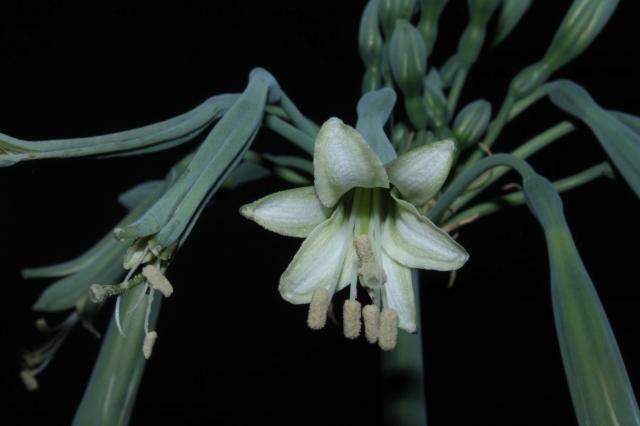 More healthy bulbs can hold on to 2-4 leaves. In the case that all the leaves were dropped during dormancy, only water the pot sparingly once every 2-3 weeks to keep the medium from completely drying out. 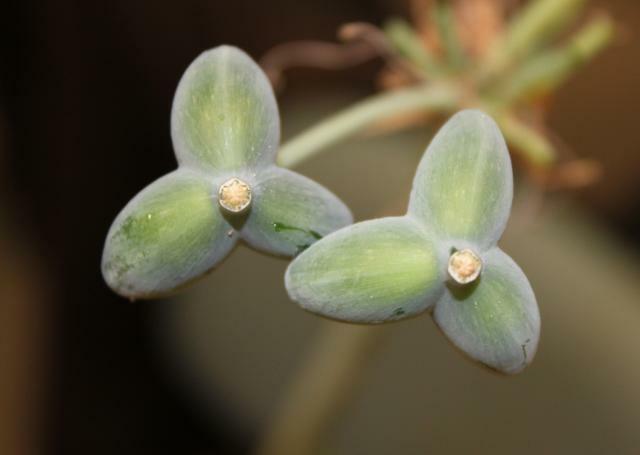 Rauhia decora has flowers with long curved stamens and large round succulent leaves. 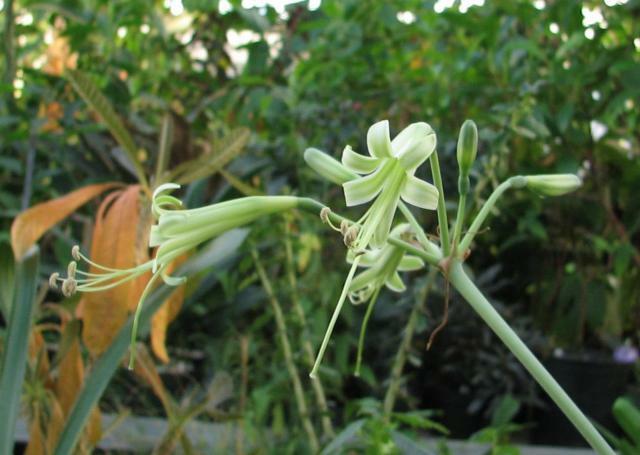 Flowers resemble Eucrosia and look different from other species. This species needs to have shade or the leaves will get scorched. It is self fertile. 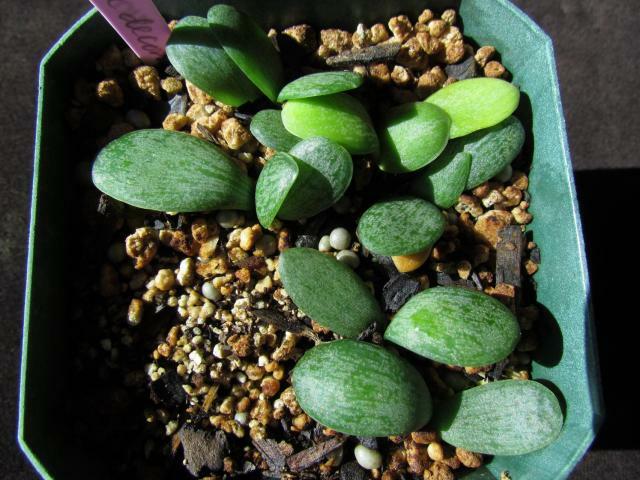 Seedlings have leaf tessellations which are mostly lost when the bulbs mature. 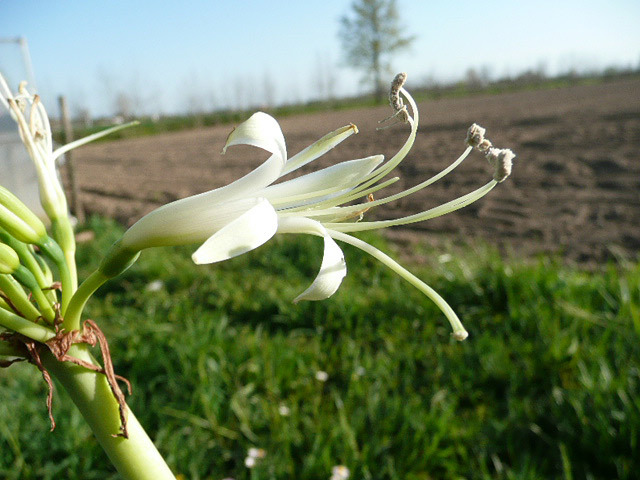 Photos 1-3 by Alessandro Marinello of plants he is growing in Italy. Photo 1 of a flower taken April 2008 and 2-3 are of leaves. Photo 4 was taken by Colin Davis. The photos below were taken by Nhu Nguyen. Photos 1-2 were from plants grown by Dylan Hannon. Photos 3-4 show seedlings grown from the parent shown in the photo by Colin Davis above. Rauhia multiflora (syn. 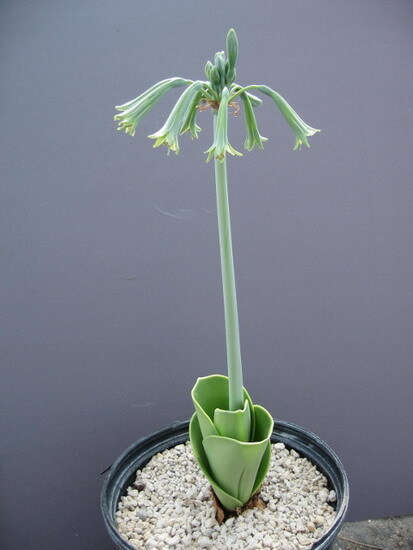 Rauhia peruviana) is a summer grower that is dormant in winter. It enjoys good sunlight in warm spot. Photo 1 is of a three-year-old seedling by Arnold Trachtenberg. Photo 2 is of a large planting of mature bulbs underneath the shade of Prosopis pallida at the Koko Crater Botanic Garden on O`ahu, Hawai`i taken in February 2007 by Jacob Uluwehi Knecht. 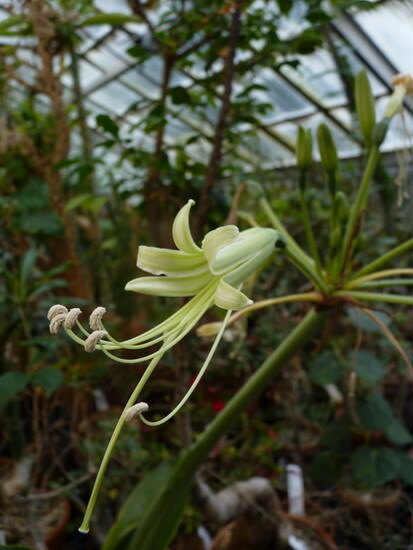 Photo 3 was taken by Diana Chapman of the first bloom of a plant she is growing. 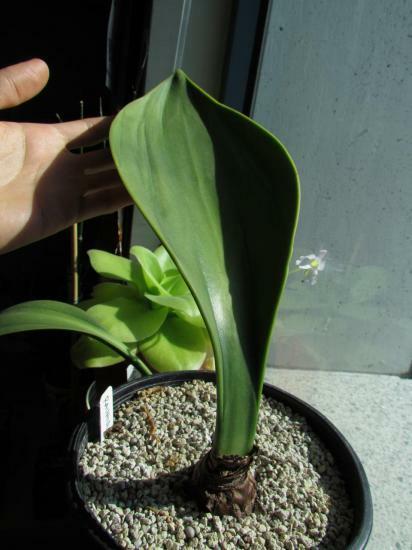 Note that Diana's plant is producing 4 leaves, indicating a very healthy bulb. Photos 4-6 were taken by Nhu Nguyen. Photos 5-6 show developing seed pods from a selfing. The photos below were taken by Nhu Nguyen. Rauhia occidentalis Ravenna is native to Peru. It was described in 2002. Rauhia staminosa Ravenna is native to Peru. It was described in 1978.